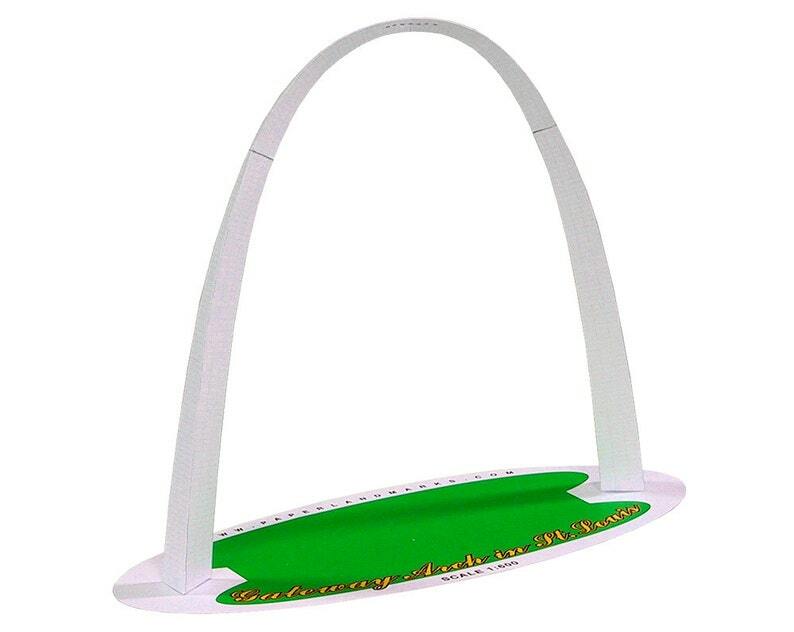 The Gateway Arch is a 630-foot-high (192 m) monument in St. Louis, in the U.S. state of Missouri. Clad in stainless steel and built in the form of a flattened catenary arch, it is the tallest man-made monument in the Western Hemisphere, Missouri's tallest accessible building, and the world's tallest arch. Designed by Finnish-born American architect Eero Saarinen, the Gateway Arch was built to commemorate the westward expansion of the United States. The full color model comes in two sizes. 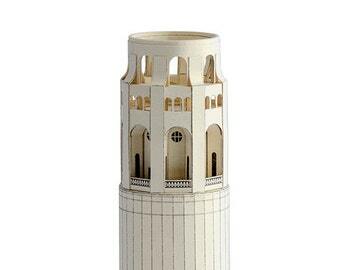 Browse our shop to find more paper models and arch building kits, get inspiration in architecture, choose gifts for architects and architecture students, photography enthusiasts for whom cardboard models are really good companions for releasing creativity. The item is hard to cut. Gets all messed up while cutting even with a real sharp razor. Lines are to small. Does not go together good. Looks crappy after put together does not look like picture. Was thrown away in trash. Thank you for your feedback. 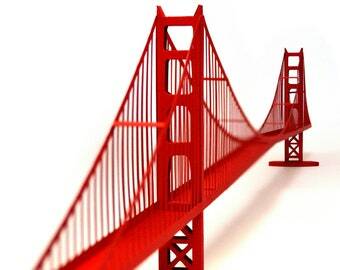 We are sorry to hear you didn't enjoy putting together the Gateway Arch model. Paper modeling is a great and satisfying hobby if you use the right tools such as a modeling knife (we recommend X-Acto or similar) rather than razor, as well as some amount of patience and willingness to learn along. The paper is thick enough for the structure to hold together well and thin enough to be easily foldable as required for such a delicate model. The scoring and cutting guidelines are well visible but thin enough so that the final model doesn't show them at all. We are always ready to help you with the questions you might have during the cutting or assembling process. We hope you will continue to pursue with this fantastic hobby and we are here to help.